When I go and take pictures of protests, theres always one common denominator: For some reason the people in the protest seem happy. they’re protesting a serious cause but for some reason, they seem happy about it. Maybe they’re just glad to be a part of something, who knows. it’s something I’ve never really understood. 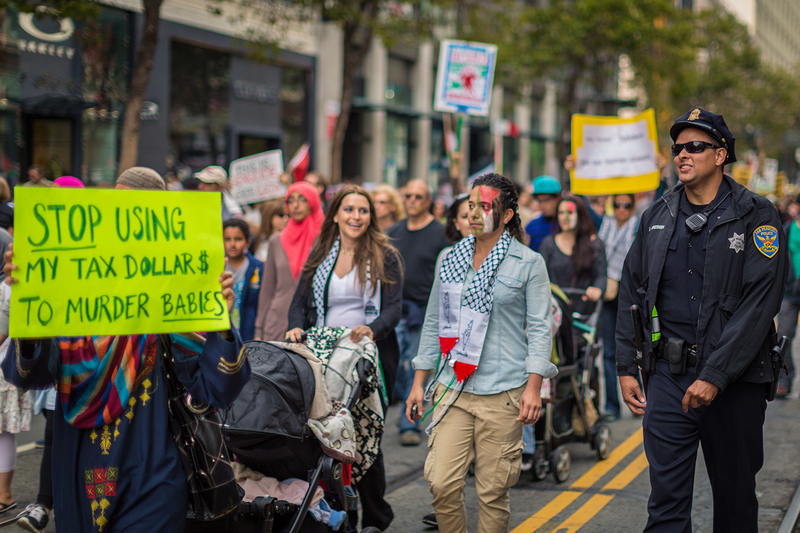 here’s 2 pictures I took at 2 different protests in San Francisco. 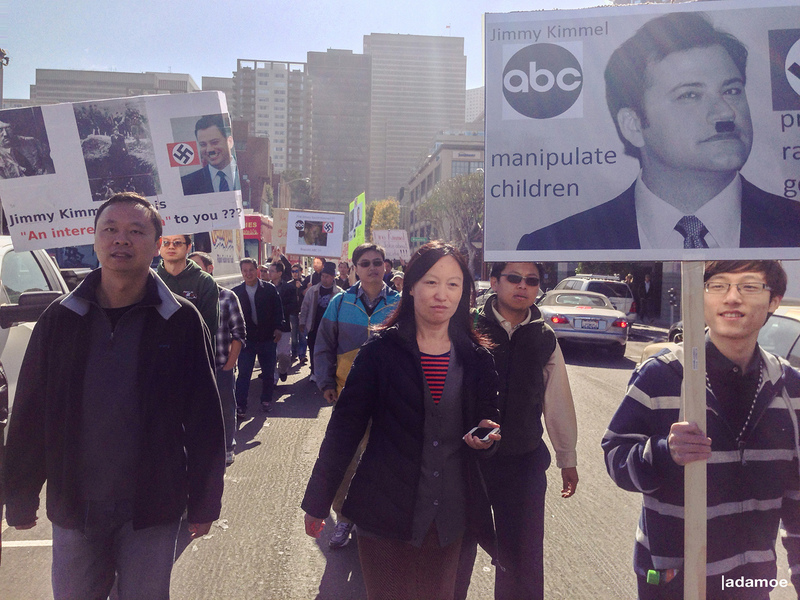 The first one is from the “Jimmy Kimmel Want’s to murder the Chinese” protest, and the second one is from the latest “Free Palestine” protest. In both pictures: Despite what the signs say, people seem to be having a really good time. I honestly think for most people it’s just about the community. People coming together, around a common enemy. It’s a beautiful thing. Next PostSeptember Photo Challenge: Favorite Place.